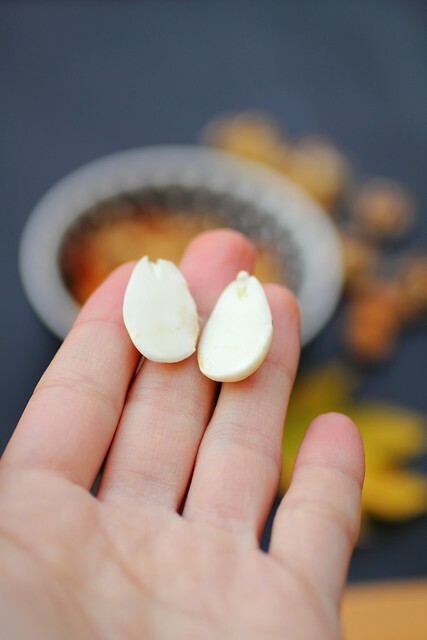 Today I'm sharing one of my favourite snacks, blanched or sprouted nuts! 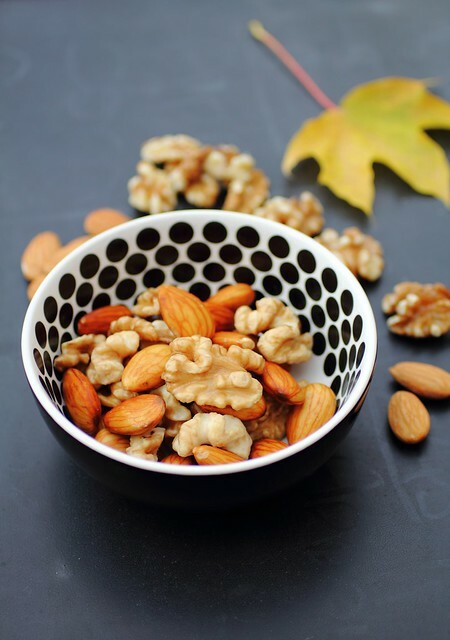 I always keep almonds and walnuts on hand, it's good to store them in the freezer but have them handy and simply grab a small handful of each and throw them in a bowl on the counter. Before you're ready to go to work in the morning rinse and cover them with water. When you get back from work in a few hours they are pretty much ready and you could enjoy them as a nice snack before dinner or later in the evening while watching some tv. 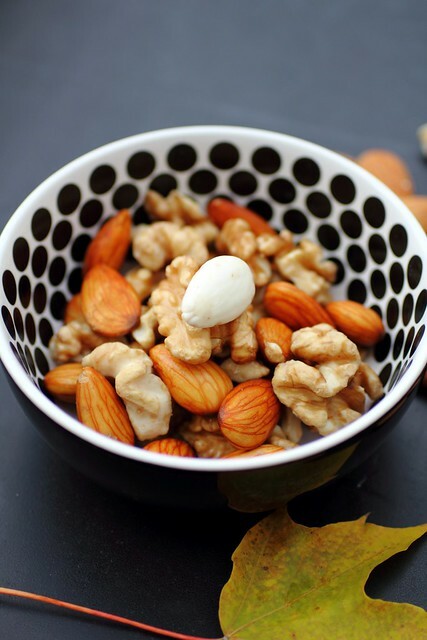 The walnuts are crunchy and delicious and the almonds are creamy but you'll need to peel the almonds, the skins slip off easily! 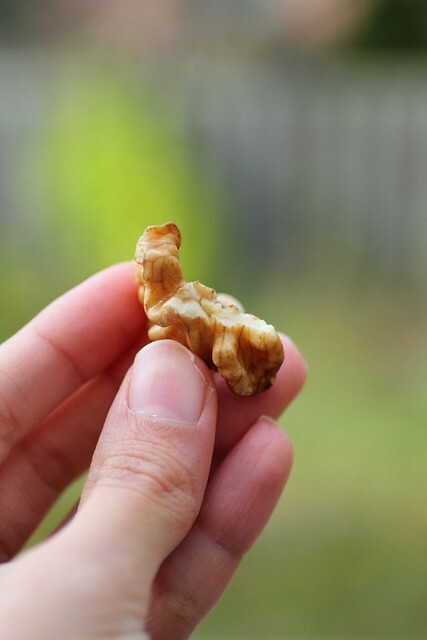 Dr. Oz even recommends the soaked walnuts and says "On my desk is the perfect snack: a handful of walnuts, soaked in water for softer texture. Keeps me feeling full and is loaded with omega-3 fats. What do you keep around your desk?" Date & Walnut brown butter "Chewy"